Comments: A classic game. Electro-mechanical. 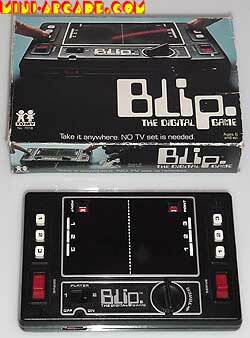 Like pong, but the ball goes back and forth via belts. 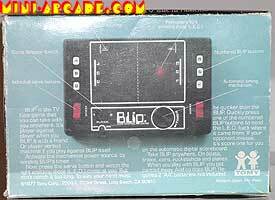 Tomy sold millions of these games, so blip is quite commonly seen, but still a must have game.